Hamburg - The old adage that good things comes to those who wait certainly rings true in the case of Hamburger SV. Thorsten Fink's faltering charges had to wait until Matchday 4 to open their 2013/14 account with victory over Eintracht Braunschweig, but where do they go from here? The answer to that question is Dortmund, where BVB should arguably provide a far more accurate measure of Hamburg's current standing this coming weekend compared to such a one-sided win over the Bundesliga's bottom club. 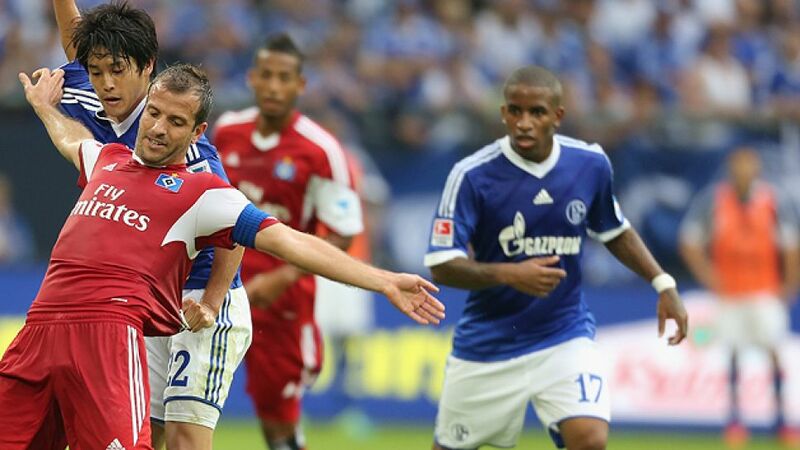 "It was a really important win," explained Hamburg forward Maximilian Beister after the game. "It was a milestone for the self belief and mood in the city." Hamburg now have four points from as many games to their name. Adding to that tally against pacesetters Dortmund is next on the agenda. Putting said plan into action, however, could be much tougher than first thought, especially following news of an injury to lynchpin midfielder Rafael van der Vaart. The HSV captain was forced off with a thigh complaint against Braunschweig, and remains a doubt for Saturday's mouthwatering clash. Yet if Matchday 4's display is anything to go by, Hamburg need not worry. Hakan Calhanoglu proved a more than adequate replacement for his waylaid skipper last time out, chipping in with a cool brace. Supplement the 19-year-old's quick feet and dead-ball prowess with the battering-ram qualities of 1,89m striker Pierre-Michel Lasogga, and it seems Hamburg have more than one string to their 50-year-old Bundesliga bow after all. Head coach Fink has similarly sought to bolster a defence that last term shipped 53 league goals, with the inclusion of loan signing Johan Djourou providing a much-needed steadying influence in the back four against Braunschweig. Come the final whistle, Hamburg were celebrating their first clean sheet of the campaign. Just what the result says about Hamburg's prospects for the season ahead remains to be seen. One-hit wonder or game-changing success? All will be revealed at the home of Bundesliga leaders Dortmund on Matchday 5.